Want to help your patients and also improve your business? As a healthcare professional, serve your patients with an ultimate objective of improving their health outcomes. Deliver personalized electronic medication reminder card - specific to each patient & medication. 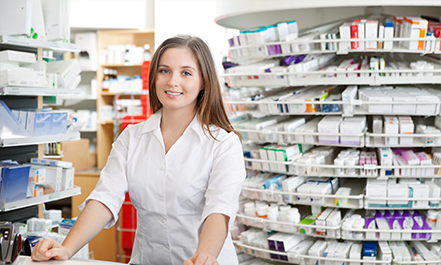 Manage prescription history of your patients to remind them for refills. With pharmacies sprawling across every few meters, fixed prices and very few marketing strategies, you need to create a strong reason for a patient to walk in to your pharmacy and not to your competitor. Trigger will ensure that the patient always comes back to your pharmacy due to your unique Trigger service. Launch Pack – You will be receiving a launch pack which will contain communication materials and training kit.We can also work on a customized solution to meet your additional requirements. 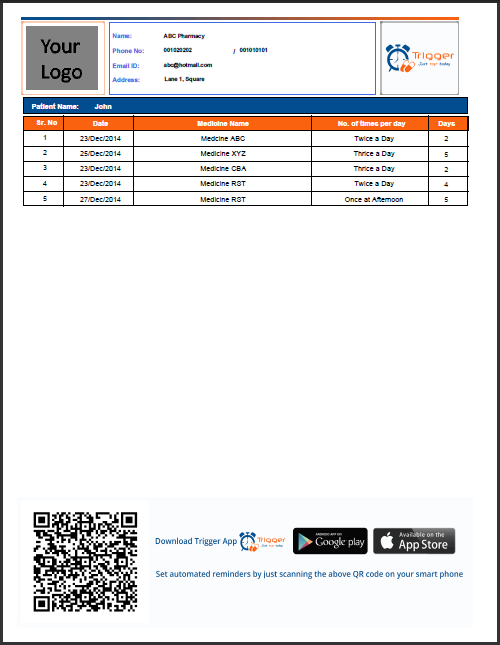 This is how your e-prescription will look with your own organization logo, name and contact details.